AnyMP4 Video Converter Ultimate ist ein leistungsstarkes, umfangreiches Konvertierungstool. 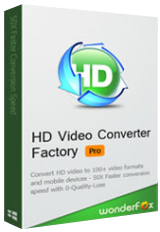 AnyMP4 Video Converter Ultimate 7.0 war am 18. Juni 2016! als Giveaway verfügbar! AnyMP4 Video Converter Ultimate ist ein leistungsstarkes Konvertierungstool, das euch beim schnellen Umwandeln von 4K/1080p HD/SD-Videodateien in diverse Formate wie z.B. MP4, AVI, WebM, MKV, MOV, M4V, MPEG, FLV, WMV, MP3, WMA hilft. So können die Ergebnisse auf praktisch allen tragbaren Geräten wie z.B. iPhone 6/ 6 plus/ 5s/ 5c/ 5/ 4s, iPad Air 2 /mini 3/ Air/ mini 2/ 4/ 3, iPod, Samsung Galaxy S/ Note, HTC, Google Nexus usw. abgespielt werden! Darüber hinaus hilft es euch beim Rippen von DVDs und Konvertieren von DVD-Ordnern und IFO-Dateien. Ihr bekommt etliche Bearbeitungsfunktionen: Schneiden, Spezialeffekte und Hinzufügen von Wasserzeichen. Darüber hinaus könnt ihr die Videoqualität optimieren, 2D-Filme und DVDs in fantastische 3D-Videos umwandeln sowie SD, 1080p HD und sogar 4K UHD-Videos von Vimeo, Facebook, TED, Dailymotion, Yahoo usw. herunterladen. b) wenn du circa 2000 Videos hochauflösend hast, wird's sogar bei 10 TB Speicher knapp. Also runterkonvertieren auf zB mp4, dann passts wieder. Im übrigen: AnyMP4 hab ich schon in einer früheren Version: ist der am besten bedienbare, schnellste Konverter mit den meisten Eingangsformaten! Dideldumm: es gibt sogar mehrere Gründe: a) wenn mein Sony-TV (148 cm) nur einige Formate abspielen kann, taugt er schon, er kann nur einfach nicht ALLE verarbeiten b) wenn du circa 2000 Videos hochauflösend hast, wird's sogar bei 10 TB Speicher knapp. Also runterkonvertieren auf zB mp4, dann passts wieder. Im übrigen: AnyMP4 hab ich schon in einer früheren Version: ist der am besten bedienbare, schnellste Konverter mit den meisten Eingangsformaten! Also: ausprobieren! Jede Videokonvertierung ist durch das Neurendern mit einer Verschlechterung verbunden. Es gibt keinen vernünftigen Grund, Videos zu konvertieren, auch nicht weil sie auf Gerät XY nicht laufen. Dann taugt einfach das Gerät nicht zum Videos schauen! Ja ihr habt es erkannt: Man benötigt wöchentlich ein neues Videotool, bevorzugt einen Video-Converter, weil dies auf jedem Rechner zur täglichen Hauptaufgabe geworden ist. Von daher ist das Angebot wirklich sehr abwechslungsreich, da dieser Bereich noch lange nicht ausgereizt ist. Die Hauptsache es ist kostenlos und ordentlich gesattelt. Wallfriede gefällt das! I use it to convert video formats. This software runs well, and I don't see any quality loss. It's really convenient. By the way, the converting speed is fast. smoothest setup ever - download link by email arrived at lightning, Win Defender check successful, installation with pre-pasted registration code, activation one click and done. Lo and behold - a very familiar Aiseesoft, Wondershare or whatever GUI appeared. Defining and saving my preferred output profile took no time whatever. To me the software is self-explanatory and regardless of whatever name it is traded under it is always stable and fast, nothing to quibble about. I am not worried about it not being a powerful editor. The programme provides enough presets to guide a novice user to choose the most appropriate one and allows to create new presets based on the existing presets with altered user-preferred settings. If you set your recorder, camera to the false output codec, viz. enormous resolution and bitrate and then decide way to large to handle, you should alter these settings and not re-encode. Typically a converter is used to convert a media file to adapt to certain output equipment, i.e. from 4K TV to mobile phone. Re-encoding does not improve the orginal quality, at best maintains it. Thank you GOTD and for yet another concerter, this one went on my WIN10 tablet. smoothest setup ever - download link by email arrived at lightning, Win Defender check successful, installation with pre-pasted registration code, activation one click and done. Lo and behold - a very familiar Aiseesoft, Wondershare or whatever GUI appeared. Defining and saving my preferred output profile took no time whatever. To me the software is self-explanatory and regardless of whatever name it is traded under it is always stable and fast, nothing to quibble about. I am not worried about it not being a powerful editor. The programme provides enough presets to guide a novice user to choose the most appropriate one and allows to create new presets based on the existing presets with altered user-preferred settings. If you set your recorder, camera to the false output codec, viz. enormous resolution and bitrate and then decide way to large to handle, you should alter these settings and not re-encode. Typically a converter is used to convert a media file to adapt to certain output equipment, i.e. from 4K TV to mobile phone. Re-encoding does not improve the orginal quality, at best maintains it. Thank you GOTD and for yet another concerter, this one went on my WIN10 tablet. "... a very familiar Aiseesoft, Wondershare or whatever GUI appeared." You can often tell a bit, or at least get a strong hint about many video apps by type casting, e.g. a visit to the app's web page shows an image from a film, & since that image would have gotten the attention of the MPAA & lawyers from the film studio, the fact that the image is there means it's more than likely a company & site in China. That means that the odds are probably in the 90% range that the software will fit into the same successful molds we've become used to, with the same general strengths & weaknesses. Some do perform in some ways better than others, some apps or versions may have bugs, & some apps may have added features, so they're often worth looking at & trying, assuming you want or need to do video conversions &/or like the video download capabilities in apps like AnyMP4 Video Converter Ult. "this one went on my WIN10 tablet." In case this might help at all... If your tablet uses an Intel CPU/GPU, you might want to try the LAVFilters in combination with the Codec Tweak Tool. It shouldn't matter with converters like AnyMP4 Video Converter Ult., but if you use the Codec Tweak Tool to set Windows to use the LAVFilters with Quicksync [for the Intel GPU], it *might* improve your video playback experience. There are video converters &/or encoders that can use Quicksync to decode or encode the original video, but you'll often have quality issues. If you want to give it a try [it's avail. portable], you might want to look at A's Video Converter, which works primarily with AMD but also Intel GPUs. x264 & x265, the hugely popular free encoders used by themselves or included in packages like ffmpeg in most converters, do not really give much opportunity to use a GPU. For those who say the exe file does not run you may have to temporally disable your antivirus software, it works for me. I am a little naive when it comes to "converters" although I have used them in the past. I have ConvertXtoDVD4 & 5 currently. I have used them in the past to put movies together and then burn to a DVD. WILL THIS program put them together and then leave me a copy of the movie on my laptop before wanting to burn? I am looking for something that will join small movies of my kids into 1 and then leave me a copy of that movie on my laptop before burning it to a DVD. SUTHERNREDD, Freeware VSDC will do that. Google to find a download.